This is the wreckage-strewn Naval Air Station at Pearl Harbor following one of the Japanese sneak attacks on the morning of December 7, 1941. In the background, an explosion sends a mass of flames and smoke high into the sky. To the best of our knowledge, this image is in the public domain and can be used without further permission. 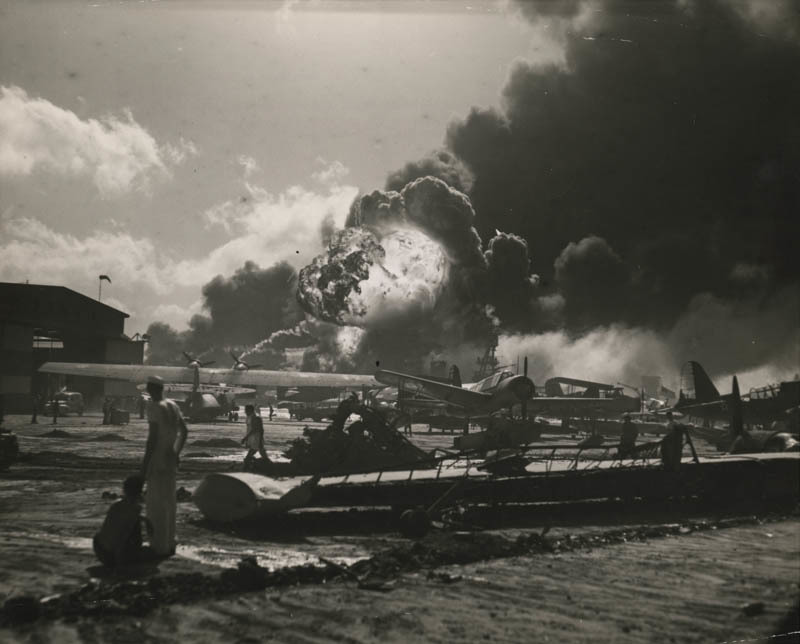 “Bombing of Pearl Harbor,” USU Digital Exhibits, accessed April 21, 2019, http://exhibits.usu.edu/items/show/18767.